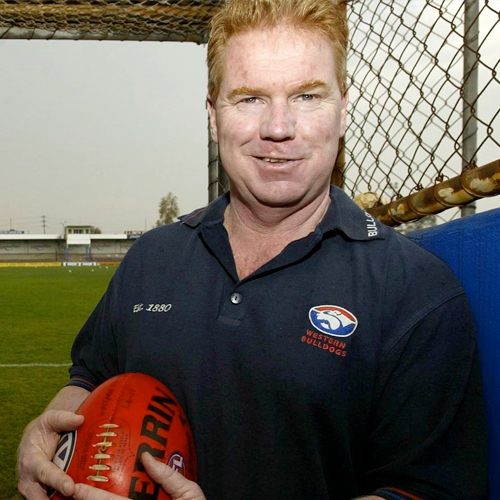 Former AFL champion – Brownlow Medalist, sports broadcaster. Brad Hardie commenced his football career in the W.A. Football League, and quickly became a champion player for South Fremantle Football Club. During his AFL career he also played for Collingwood, Brisbane and Footscray. He played a total of 300 games and represented Western Australia on 10 occasions. Brad was awarded football’s highest honour, the Brownlow Medal in 1985, and was also recipient of two Simpson and two Tassie Medals. Since the end of his playing career Brad has been sought out for multi media roles and currently writes for a national sports magazine and is also an integral member of Radio 6PR’s AFL commentary team and co-hosts various sports programs on the station. Brad is based in Melbourne to provide commentary for the West Coast Eagles and Fremantle Dockers interstate games for Radio 6PR, Perth and Radio 3AW, Melbourne. Brad is a much sough- after speaker whose presentations titled ‘Adapting to Circumstances’ and ‘Goal setting – not shooting for the stars’ are both motivational and entertaining. He regularly addresses major corporate and sporting functions. Brad has an excellent sense of humour and always leaves audiences laughing. Brad is also a first class master of ceremonies who has hosted government, corporate and sporting events in most Australian states. provoking as well as providing lots of humour and motivation. David Goode. BankWest Managers & Lenders’ Association. Aldo Anza. Australian Liquor Group.